Interview with Kevin Shipp, Author of "From The Company of Shadows"
SCTPC Presentation by Kevin Shipp - "From The Company of Shadows"
From the Company of Shadows. Read firsthand accounts of fascinating events inside the CIA. Learn how the CIA conducts operations, recruits agents and protects defectors from assassination. Understand the current global and domestic threat of terrorism from the perspective of a decorated CIA officer. Read an insider's expose' of the CIA's use of secrecy and the executive branch's abuse of the shadowy State Secrets Privilege. 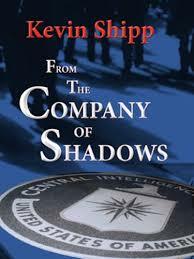 Kevin Shipp, former Central Intelligence Agency (CIA) officer, intelligence and counter terrorism expert, held several high-level positions in the CIA. His assignments included protective agent for the Director of the CIA, counterintelligence investigator searching for moles inside the CIA, overseas counter terrorism operations officer, internal security investigator, assistant team leader for the antiterrorism tactical assault team, chief of training for the CIA federal police force and polygraph examiner. Mr. Shipp was the senior program manager for the Department of State, Diplomatic Security, Anti-Terrorism Assistance global police training program. He is the recipient of two CIA Meritorious Unit Citations, three Exceptional Performance Awards and a Medallion for high risk overseas operations. He holds a master’s degree in forensic psychophysiology. 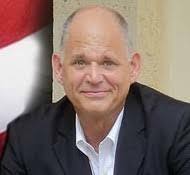 Mr. Shipp is the author of the best-selling book, From the Company of Shadows – an expose’ on CIA operations and the abuse of government secrecy. Mr. Shipp has come out to expose what he calls, “The Shadow Government,” the massive system of secrecy and corruption that controls the elected US government behind the scenes.